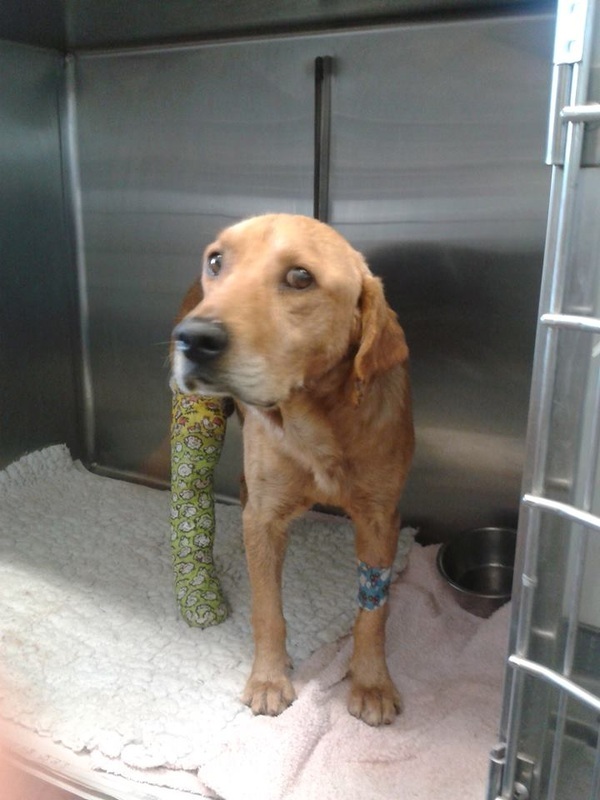 Charlie is an 18.5 kilo male that was picked up on August 28 near Alcantarilha after being hit by a car. He is going to have surgery today for a broken leg and will be castrated at the same time. Leish and heartworm speed tested negative. 1. In cash - in an envelope marked 'For Charlie' if paid directly to the clinic Villapet on the 'out' road in Carvoeiro on the right hand side (contacts Dra. Claudia or Ricardo). 3. Use the PayPal Link below.